The exchange of information and matter between cell nucleus and cyto- plasm is an intriguing aspect of the eukaryotic cell which has attrac- ted the cell biologists' attention for many decades. Nevertheless, the elucidation of nucleocytoplasmic transport is still in a stage where questions can be more easily formulated than answered. Considering the explosive progress in molecular biology, the somewhat prodromal stage of nucleocytoplasmic transport studies may seem astonishing. However, the situation becomes immediately intelligible if technical aspects are taken into consideration. 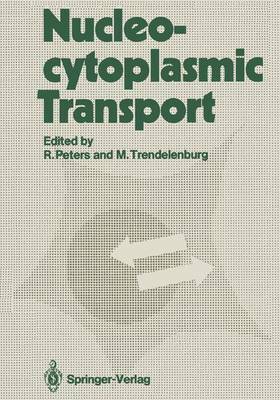 Nucleocytoplasmic transport is a func- tion of the living cell and the development of suitable in-vitro sys- tems proved to be difficult. Recently, novel techniques for measuring molecular transport in single cells have been developed. Substantial proqress has been also achieved by gene technology. In this situation a 'Workshop on Nucleocytoplasmic Transport' was held at the Deutsches Krebsforschungszentrum (German Cancer Research Center), Heidelberg, Federal Republic of Germany. A brief yet essentially complete picture of the field and its prospects was sought. The present book contains the proceedings of this work- shop. The book is organized in the following manner: - Historical dimensions of the field are illuminated by Brachet. - Techniques for single-cell studies are reported by Engelhardt et al., Garland & Birmingham, Krafft et al., Feldherr, Neuhaus & Schweiger, Riedel et al., Edstrom, and Trendelenburg et al .. - The structure and biochemistry of the nuclear envelope is discussed by Milligan, Maul & Schatten, Krohne & Benavente, and Dreyer et al ..